Its Friday the 13th of August and the kids are getting ready to go back to school. You were hoping to buy a new home and get moved before they go back, but you got busy this summer and couldn’t make it happen. So you’ll wait until next year. But why wait. Buying a home doesn’t have to take as long as you might think. In fact we routinely close home purchases within only a few days. Of course, these are usually cash purchases, where the buyer is simply writing a check for the whole purchase price plus closing costs. But what if you’re like most of us, and you actually have to get a loan? Is it too late? Maybe not. 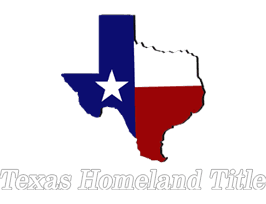 Lets look at a contract we received a here at Texas Homeland Title on Tuesday, August 10th. That very day the buyers signed their contract (negotiated only the night before), locked in their rate with a mortgage company, and provided all the requested documentation (IRS Form 1040’s, W-2’s, etc.). Today the appraisal was ordered. It will be received by the lender by the 16th or 17th, and if the appraisal supports the contract sales price, the complete loan package will be submitted to underwriting by the 17th or 18th. This particular mortgage company is currently running 4-6 days in underwriting. That puts us somewhere around the 25th or 26th to get the “clear to close.” Then its just a matter of receiving the loan documents and scheduling the closing. This deal is VERY likely to close sometime between August 27th and August 31st. That’s between 17 and 21 days from the date we received the contract. So buying a home can be a relatively quick process, especially if there are no hitches during the loan process and no title issues, and if you get the various providers, particularly the lender and the title company on board with the RUSH!